We are delighted to announce that the Thames Basin Heaths Partnership Team have now taken up residence in our newly refurbished Portacabin at Heather Farm. Commencing February 2018, all commercial dog walkers using Horsell Common, Pyrford Common, Heather Farm and other Public Open Spaces in the ownership of the Horsell Common Preservation Society will require a licence to operate on its land. Early bird entries are being taken for the annual Woking Lions club 5k, 10k and Half Marathon on the 1st July 2018. 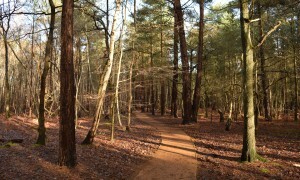 This is an off-road event meandering through Horsell Common and McLaren Park. Well done Clem at Prime Acrobatics! We would like to say a massive THANK YOU to our good friends from WWF UK 🐼 who ventured out from their swish building in Woking to spend a conservation day on Horsell Common. 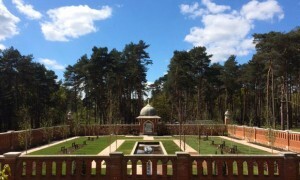 The restoration of the Grade II listed Muslim Burial Ground – and the creation of the new Islamic-inspired Peace Garden, opened by the Earl of Wessex in November 2015, is the topic of a BBC One documentary broadcast on Sunday 3 January 2016.